It's getting hotter by the minute. The temperature is literally melting bones in some parts of the country. Between the scathing sun and bustling traffic, one decides to take a summer break and elope to a cooler and calmer place that brings some much-needed peace. In a country, which offers a variety of landscapes, it is hard to choose a place for a perfect summer vacation. But when you have about 20 scenic hill stations to choose from, the task gets further difficult. But there's no need to worry. Because we at NativePlanet consider it as our sole responsibility to take care of fellow travellers and help them out whenever they need us. So today, we have decided to pick the top 7 places to visit to beat the summer heat. Nestled in a hill station in the state of Karnataka, Coorg boasts about its moderate climate during summers; you are greeted with light showers and soft thunder. With a long carpet of coffee estates and lush green vegetation, Coorg is destined to touch your inner self. Even a stroll in its lush green surroundings brings peace to your ever-conflicting thoughts. This summer, as you plan on listing down the destinations for your holidays, make sure to list Coorg in it. This place has everything that you need to stay away from the summer sun: cool climate, lush green plantation and snake roads to overwhelm you with nature's beauty. There are buses that daily run from Mangalore, Mysore and Bangalore to Coorg. If you prefer the rail option, the nearest railway station is in Mysore, which is at a distance of 95 km. The air option is also available. You can take a flight to Mangalore or Bangalore airport then drive to Coorg. Far away in South India, a small, slow-paced hill station of Munnar awaits you with its smiling landscape. Munnar is housed in the Western Ghats in the state of Kerala. Once it was popular with the elite British class and now it attracts dozens of people. The lush green tea plantation is so well-managed that it is hard to believe that something so scenic is a product of human diligence. Besides offering a tour of its tea plantation, Munnar is also known for its national park, Eravikulam National Park, which is a home to endangered species. The nearest rail option is Aluva, at a distance of 110 km from Munnar. There are daily government buses from Tamil Nadu and Kerala. The nearest airport is in Cochin, which is at a distance of 110 km. You must have thought that Rajasthan is all dusty and deserted, but guess what? Rajasthan houses one of the most beautiful hill stations in the country. Families from all over the country rush to Mount Abu to get away from the ever-increasing temperature. This small hill station is set on a high rocky plateau in Aravalli Range. Besides giving much relief to its visitors, Mount Abu also offers some of the most scenic architectural marvels. You can explore the age-old temples and the artisanal marvels in ornate marble walls. Abu Road is the nearest railway station which is well connected to the popular cities. The nearest airport is in Udaipur. There are daily flights from the major cities to Udaipur. National Highway 14 is a well-connected route via road. Mostly, people prefer taking the road route which is easier and more scenic. Coonoor is yet another jolly hill station located in South India, in the state of Tamil Nadu. As the heat gets intolerable, the folk in South India, find their rescue in the arms of Coonoor's massive tea plantations. Apart from the lush green plantation, Coonoor also has Sim's Park which is a public garden that houses a range of eclectic plants. You'll be surprised that in this digital and rail era, Coonoor is that one place which still boasts about its steam train. Yes, a steam train that winds from Coonoor to Ooty, giving its passengers a landscape view of the scenery. The best option is to rent a car. The closest airport is Coimbatore which is 45 km from the town. Road is the cheapest way to reach Coonoor. There are regular private and public buses shuttling from the major cities to Coonoor. It doesn't have a railway station. The nearest rail option is 75 km away. If you're finding a way out of your city life and planning a trip to a relaxed cool town, Nainital should be on your list. Its beauty is vicariously felt in the books that were authored by many Indian writers. Nainital used to be one of the favourite places to hangout for the British and that's why you'll be able to see the glimpses of the colonial architect in this small town. Although a bit crowded now, Nainital still is unscathed and uncluttered. Nainital also offers a variety of treks, so if you're looking to pump some adrenaline, you know the right place now. It is an ideal place for families and couples. Although, youngsters have started to come to Nainital as well. It doesn't have the best air connectivity, but it does have an active road route. There are excellent bus service providers on this route. You can catch a daily bus from Delhi to Nainital easily. The nearest railway station is located at a distance of 34 km. If you're in your early 20s and are planning a trip for your colleagues and yourself, the right choice of place would be Manali. 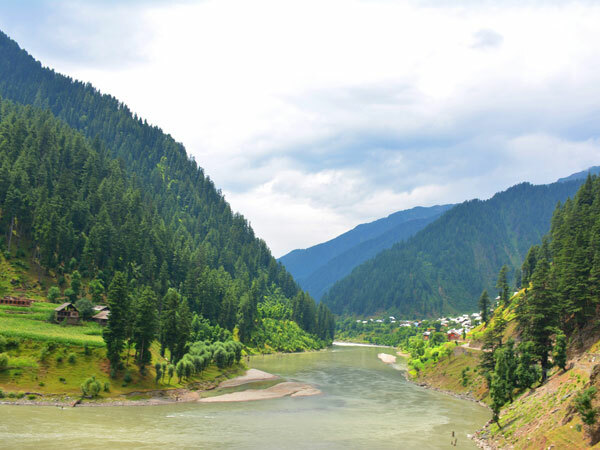 Manali has everything for a young Indian looking for an adventure in the hills. Situated in the state of Himachal Pradesh, Manali offers a range of adrenaline-pumping activities: trekking and skiing opportunities and a scenic mountain valley. Though it is called the honeymoon destination of India, it has everything for almost everyone. From kids to your grandmoms, Manali is the best summer holiday retreat suited to everyone's taste. The closest flight option is 50 km away. Best plan is to take a bus. The road connectivity is quite excellent in this area. There are daily buses from New Delhi. There is no rail option available but you can rent a car. The drive-up options are the best for this route. Although less popular than rest of the hill stations, Mussoorie still holds a strong position when it comes to a summer getaway. It is an extremely beautiful hill station that offers glimpses of colonial architectural marvels as you stroll through its streets. Besides the calm and peaceful climate, Mussoorie also brags about its sweet delicacies. Mussoorie is famous for its Ellora bakeries that were established at the time of the British. Buses are the most popular options available. Mussoorie is well connected to the major cities nearby - Dehradun, Rishikesh, etc. Rail options are pretty good too. There are two overnight trains from Delhi. The closest air option is 54 km away, located in Dehradun.